I decided to insert a pop of vibrant color to the room, and some curvy interest at the same time with a Shapely Tufted Settee. Hello, my dear readers, I hope you’re ready for a fabulous weekend! 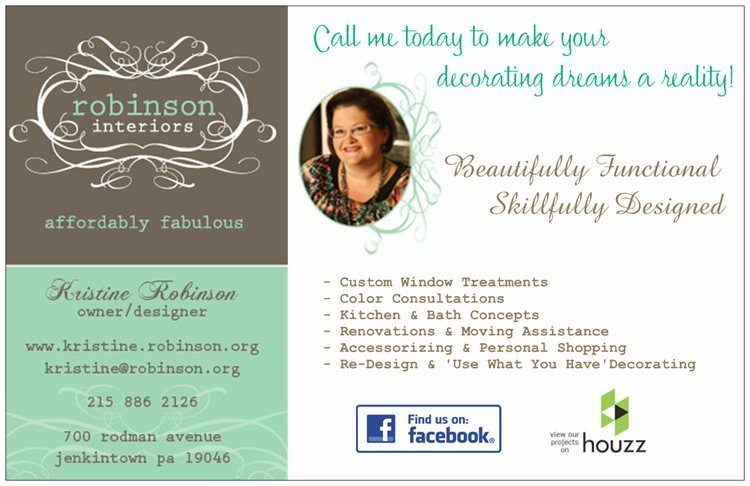 You may remember one of my previous Bucks County Designer House Posts was about the furniture I plan to use in the Sunroom. If you missed it, you can read that post here: http://wp.me/pEVbo-7l Now I want to fill in the blanks and show you some of my other furniture selections for the room. Once I decided to use the Duchesse Brisee and the Rattan Chairs together, I decided I needed a large-ish piece to fill out the sitting area. 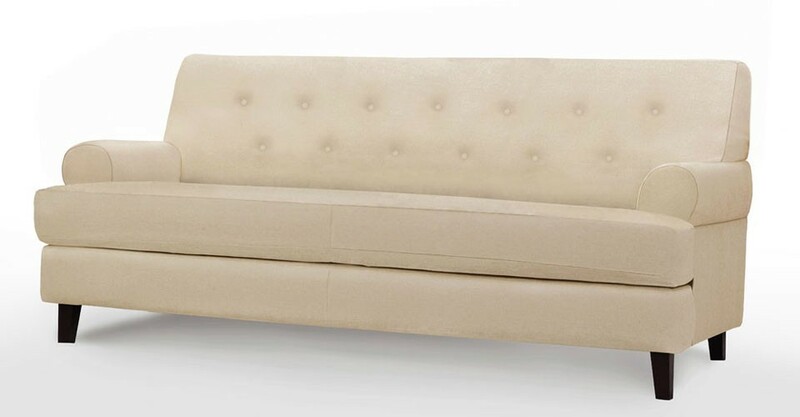 I really liked the idea of a tufted piece, both for the texture and vintage charm. So I started looking around at my suppliers for something interesting, and affordable. Sofas, loveseats, and settees can get very pricey, and I don’t mind telling you that cost IS a factor in this designer house room. These rooms cost a lot of money to implement, and since I don’t have a large store with tons of inventory, I, alone, have to purchase all the items that go into my space. In past designer house rooms, I have chosen to borrow furniture from my suppliers, and sometimes my vendors will discount their items for use in the spaces. But in this room, I’ve decided to foot the bill myself. 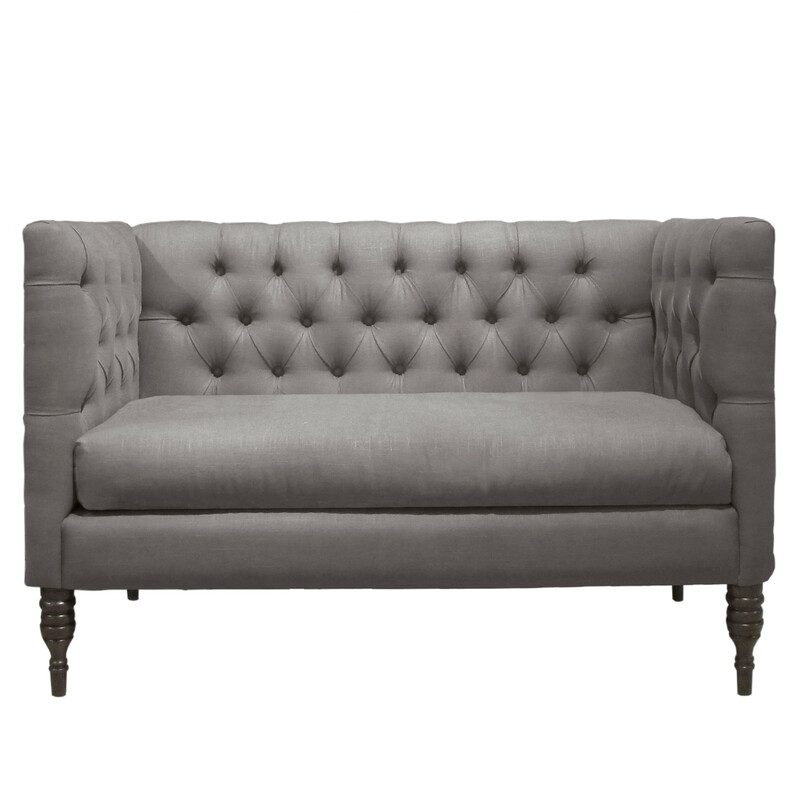 A gray tufted settee could be cute in the sunroom. Something to consider…. A more contemporary mid-century sofa could also work in the sunroom. In the end, I decided to insert a pop of vibrant color to the room, and some curvy interest at the same time. I felt like the tile, the herringbone geometric area rug, and all those rectangular windows needed some softening, so I opted for a curvy feminine line on the loveseat to fill out my main seating area. 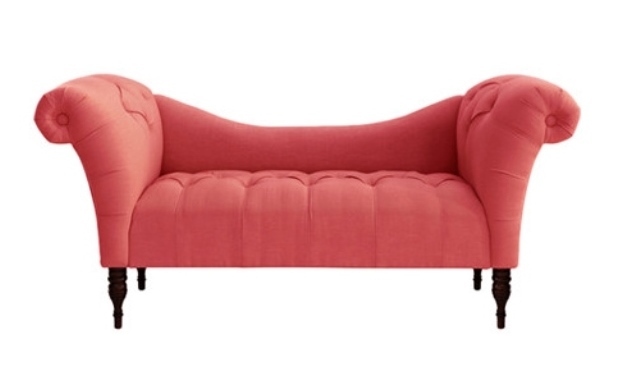 This curvy coral-pink settee will look beautiful in my Bucks County Designer House sunroom! Now I just need to finish the floor plan. 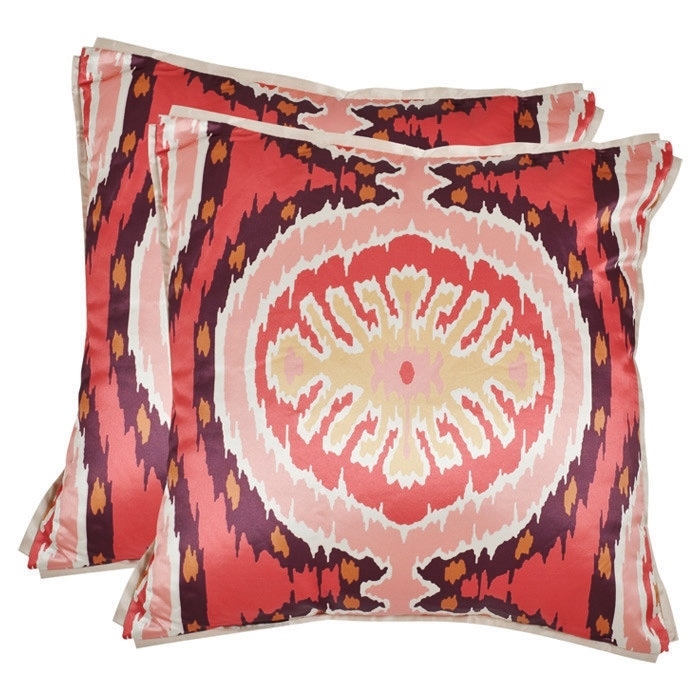 The Ikat pillows I bought will be perfect with this settee, don’t you think? It’s all coming together to create a really luscious pink, gold, gray color scheme. I’m loving it! This entry was posted in Bucks County, Color, Designer House, Furniture, Home Decor, Interior Design, Sunroom and tagged Coral, Decor, Decorate, Decorating, Design, designers, Fabric, Gold, Gray, Home, Interior, Interior Decor, Interiors, Loveseat, Pink, Settee, Shopping, sofa, Tufted, Windows. Bookmark the permalink. I love your ideas so far, but wondering if the room will look to girlie. Will men find the colors and furnishing to feminine? Interesting question, Susan. In fact, I often gear my designer house rooms toward a female audience, since the majority of attendees are female. However, I think if you continue following my progress, you’ll find some more masculine objects will be present as well (the coffee table and Victorian desk, for instance). I think it’s a good mix, but wait and see how you feel when it all comes together. Thanks for commenting! Loving the tufted settee myself, but I do like the coral one as well! You have some great examples to choose from! I LOVE the coral-pink setee!! The color and shape just made my day!